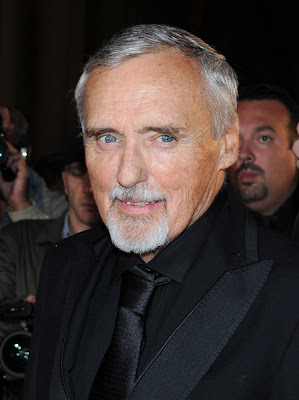 Turner Classic Movies (TCM) will dedicate its Tuesday, June 8, primetime and overnight lineup to celebrating the life and career of Oscar-nominated actor-director-screenwriter Dennis Hopper, who passed away May 29 at the age of 74. The night’s collection will feature his film debut in the memorable teen drama Rebel Without a Cause (1955), as well as his groundbreaking film Easy Rider (1969). 8 p.m. (ET) The Sons of Katie Elder (1965) – Dennis Hopper co-stars with John Wayne and Dean Martin in this rowdy Western about the sons of a frontier woman determined to learn why their mother died penniless. 10:15 p.m. True Grit (1969) – Hopper found himself in the presence of “The Duke” once again with this Western about an aged marshal who helps a girl find her father’s killer. John Wayne earned an OscarÒ for his performance. 12:30 a.m. Rebel Without a Cause (1955) – Hopper made his film debut as one of the rebellious youngsters in Nicholas Ray’s searing portrait of teen angst. James Dean, Natalie Wood and Sal Mineo star. 2:30 a.m. Easy Rider (1969) – Hopper became one of the most iconic figures of his generation with this groundbreaking film about a trio of societal dropouts heading to New Orleans for Mardi Gras. Not only did he direct and star in the film, he also earned an Oscar nomination for his work on the screenplay with co-star Peter Fonda and Terry Southern. Jack Nicholson and Karen Black co-star. 4:15 a.m. Night Tide (1963) – Hopper stars as a lonely sailor who falls in love with a mysterious woman who plays a mermaid on the Santa Monica pier. Linda Lawson co-stars in this unique, dreamy drama written and directed by Curtis Harrington. Turner Classic Movies is a Peabody Award-winning network that presents great films, uncut and commercial-free, from the largest film libraries in the world. Currently seen in 85 million homes, TCM features the insights of veteran primetime host Robert Osborne and weekend daytime host Ben Mankiewicz, plus interviews with a wide range of special guests. As the foremost authority in classic films, TCM offers critically acclaimed original documentaries and specials, along with regular programming events that include The Essentials, 31 Days of Oscar and Sum mer Under the Stars. TCM also stages special events and screenings, such as the TCM Classic Film Festival in Hollywood; produces a wide range of media about classic film, including books and DVDs; and hosts a wealth of materials at its Web site, www.tcm.com. TCM is part of Turner Broadcasting System, Inc., a Time Warner company.